ADF will be exhibiting again this year at FA&M at the Trump Doral Resort in Miami on April 15th. 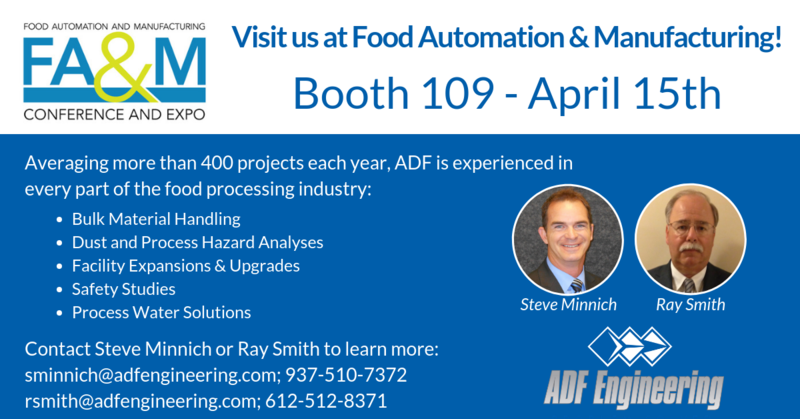 Steve Minnich and Ray Smith will be on hand to discuss ADF’s capabilities and expertise for the food processing and manufacturing industries. We look forward to connecting with you at Booth 109.